Digi Prepaid Users no longer able to surf websites. 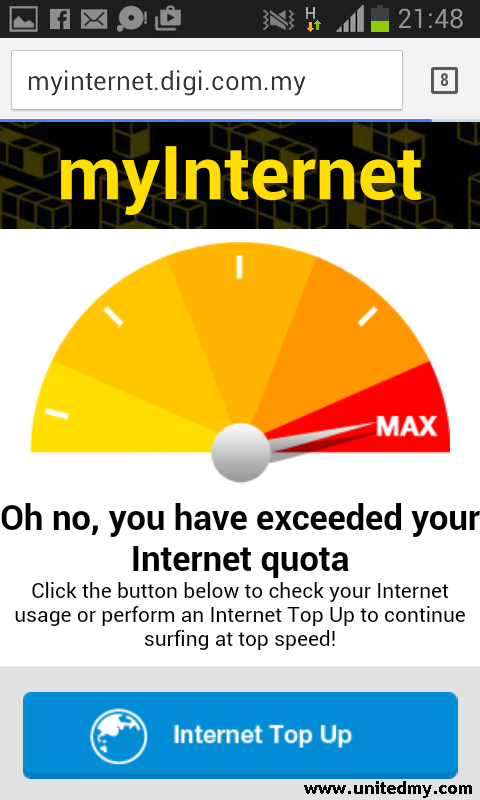 Although Digi raised it quota limit to 1.5G for RM30, all the Digi prepaid internet users are not longer able to surf any websites upon quota finished. A pop-up website will be immediately showed up on your smartphone screen whenever users tried accessing any websites. Despite that, Digi users are still retain the righ to surf social media messaging such as Whatsapps, Wechat or Facebook with limited internet speed. User should expect slower speed downloading pictures on these allowed platform. Top up is made easily accessible. Looking on the options of top up, it not likely a very price-friendly toward users unless in an event of desperate situation. 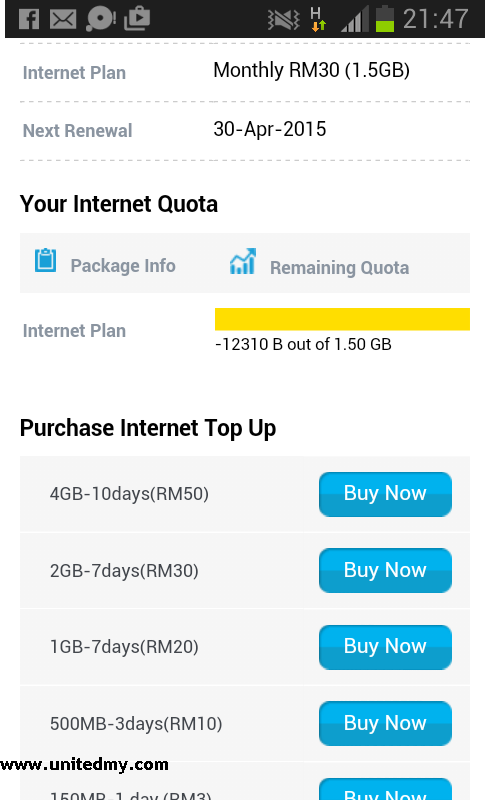 Would you spend RM50 for 10 days 4GB ? At least, there is a way top up and the hassle is greatly reduced due to the new implementation of automatic pop-up feature for all Digi prepaid users top up their account.